The Lodge Annual Banquet will be Saturday, November 10 at 6:00pm at St. Andrew's Presbyterian Church in Longview. See the attached flier for more details and registration information. Richard Pennington has accepted the Position of Camp Director and will be supported by Edward Vestal. The Leaders Guide will be published in a few weeks. Cost this year will $140 per Scout and $50 per Leader. Some Merit Badges will have an additional fee. It has been a beautiful day on the grand prairies of north, central Texas. Tomorrow, I will travel east to Tyler and the Council office for several meetings. I am reminded that as December speeds by, Winter Camp is coming. There is still time to register your unit and reserve a campsite for this winter experience in the piney woods. Camp will begin on December 27 and conclude on December 31. This will be your last chance to camp along the shores of Lake Murvaul in 2017. In addition, if you would like to volunteer to serve during Winter Camp, call me at 817-266-7795. Come out and join us, while earning a "Polar Bear" patch. It could happen. Last Thursday evening, LuAnn and I drove from Centerville, Texas to Spring, Texas in a snow storm. Wow! Of course, it just as well could be 80. In any event, do not miss the first annual, last ever, Pirtle Klondike Derby, 2017. MUSH! 2018 is just around the corner. That means summer camp will take center stage in the coming months. Summer camp staff applications are available and interviews will be held daily during Winter Camp. Positions for Scouters over the age of 21 and Scouts under the age of 18 are available. For more information, call the Council Service Center in Tyler or call me at the number listed above. Every scout deserves a week at summer camp and Pirtle is our H.O.M.E. camp. During November, the East Texas Area Council and Camp Pirtle hosted the 2017 N.J.L.T. course. It was held simultaneously with Turkey Camp. On behalf of the Council and camp, I want to thank Michael Brannon and his staff for developing and executing this opportunity allowing each youth participant to improve the leadership skills needed to benefit their units. It was a joy to witness their team building and scouting spirit in action. Without adult volunteers like you, these events could not be held. Your devotion and service are appreciated. With the holiday season is full swing, I wish each of you happy Scouting and a merry Christmas. Good news, folks, the 2017 East Texas Area Council Winter Camp guide is here! While it's been quietly circulated for over a month now, the public unveiling is ready. CampMaster is open for registrations and merit badge classes are ready to go! Ready to revive one of East Texas Area Council's proudest traditions? Or start new ones? With new camp leadership, 2016 is going to be the most dynamic Winter Camp Program we've ever done. Spread the word! 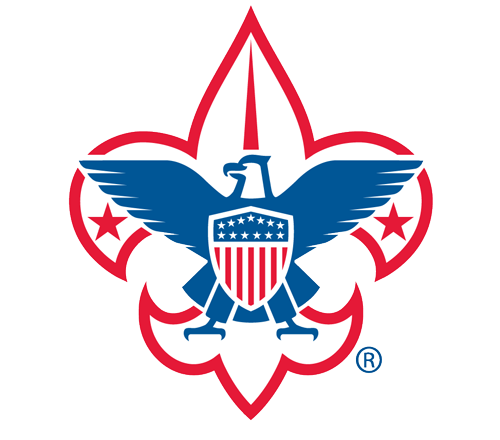 Troop reservations will be up soon on CampMaster, but in the meantime, check out the Leaders Guide under the "Council Events" section in the Forms, Policies and Resources tab. It's got a camp schedule, information about all of our new evening program as well as the updated Merit Badge offerings. For more details, contact daniel.anderson@scouting.org or call the Council Service Center at (903) 597-7201. Brace yourselves, Winter (Camp) is coming! We will be placing a final order next week to replace the neckerchiefs so generously given up by the Venture Crews, Ship and unit adult leaders so our youth Boy Scouts would have neckerchiefs for the event. Any Quad Jam attendee desiring additional neckerchiefs can do so now until Thursday, May 12th by placing an order through the Scout Service Center. The cost is $ 7.25 per neckerchief and they must be paid for in advance. Please provide your all the requested information including, contact information. We will notify you when the replacement and additional neckerchiefs have arrived and are available for pickup through Facebook and the Council website. Expect delivery at least 3 weeks from May 13th. You may order any of the District neckerchiefs not just your District..
Those units who were registered and not able to attend can pick theirs up at the same time as the supplemental order is available, since while we have all the youth’s available now (except for Troop 312) they are all still missing enough for the adult leaders registered to attend.